Our first building management slots game! Slots – Limited Spins has a unique building feature and original limited spins gameplay that provides a completely new experience. 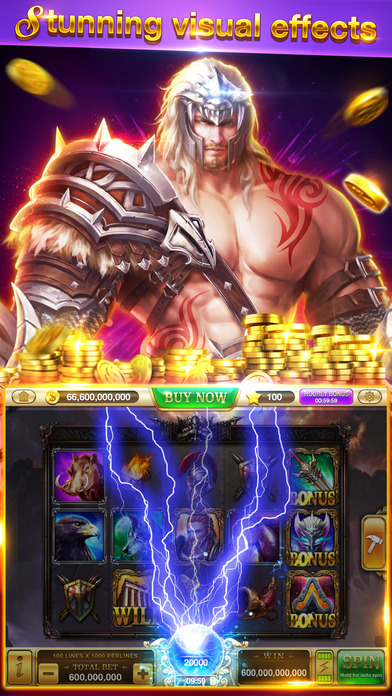 So come and try out an exciting new adventure and experience slots fun! The huge variety of game modes in Slots – Limited Spins is designed to give you the most realistic Las Vegas casino experience on your iPhone/iPad. If you love slots, then you can’t miss out on Slots – Limited Spins. — All kinds of different slots games! — Huge payouts that’ll leave you more satisfied than you’ve ever been! — Bonus games, free spins, and special game modes are designed for non-stop fun! — Bonus slots: special slots style rewards that really show off your wins. It’s a real treat for the senses that you’ll enjoy so much it’s like an extra reward! — All new building feature that’s completely stunning. — Limited spins gameplay that’s second to none. — Updated regularly with new machines, the fun never ends!